"Be dry, and I will dry up your streams,"
'Let its foundations be laid.' " "
Israel then would be called on to be witnesses of these events as proof of YHWH’s deity. These prophecies where written down and historically fulfilled. The fulfillment of these predictions by YHWH through Isaiah are recorded in secular documents and in the books of Ezra, Nehemiah, 2 Chronicles, etc. Isaiah 44:24-28 actually begins a section that continues from Isaiah 44:24 up to Isaiah 47:15. As a sign of his sovereign rule over his creation and of his absolute wisdom the Lord says he will expose the false prophets, make fools of the diviners and turn the learning of the wise into nonsense. While at the same time the Lord will carry out the words of his servants and fulfill the predictions of his messengers like Isaiah. In order to set the stage for his prophets the Lord predicts a list of historical events that will take place more than 170 years in the future. Remember, at this time Jerusalem is still inhabited and will not fall to the Babylonians for another 100 years. Also, the Assyrians are ruling the Middle East in Isaiah’s day, Babylon has not risen yet, but Isaiah is going to be speaking about the empire that overthrows Babylon. Babylon is still a rising power in Isaiah’s day. The stopping of the waters in Babylon in 539 BC by Cyrus when he blocked the canals and entered Babylon under the walls as recorded by historians and Daniel. The name of the Persian emperor who conquer Babylon and then send the Jews back to Jerusalem and order that they rebuild the Temple (536-516 BC). Cyrus would rule Persia from 559-530 and would overthrow Babylon in 538 BC. That is 160-190 years after Isaiah spoke these words. Beginning in 538 BC the Jews would begin returning to Judah from Babylonian captivity. 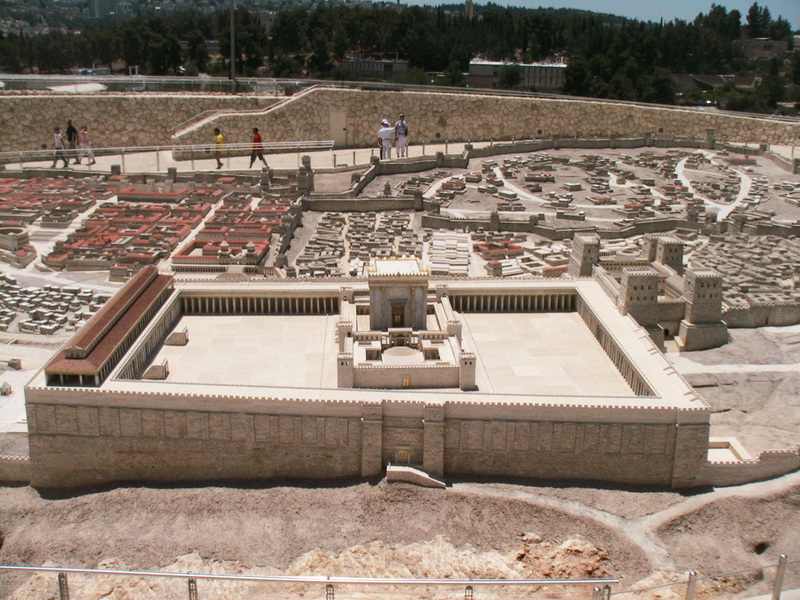 Cyrus would order that the foundations for the Temple of YHWH be laid in 536 BC. Cyrus died in 530 and the Temple was finished in 516. ‘Ayil (Hb) - pillar (Eng) - The Hebrew word ‘ayil means “pillar” and “post.” The ‘ayil is a vertical piece of finished wood used in construction as in 1 Kings 6:31. I will be kind to the people with whom I spend the most of my time. I will consider their needs, plans and desires before my own. 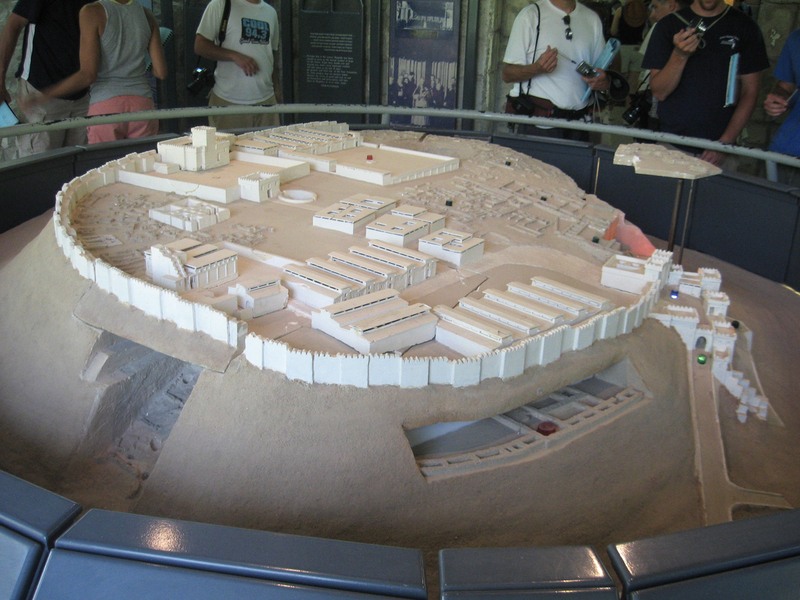 Details of the ancient city of Megiddo in a model of the city. "The sanctifying of men by the Word of God is a timeless principle in the Kingdom of God." The Bible does not specifically say that Paul fell from his horse on the road to Damascus (Acts 9:3-4) just like it doesn’t say that Mary rode a donkey to Bethlehem. Of course, it is possible a horse and a donkey were involved, but Acts 9:7 does say that “the men traveling with Saul STOOD there speechless” instead of “sat on their horses speechless.” And, if someone was riding the donkey to Bethlehem we hope it wasn’t Joseph. 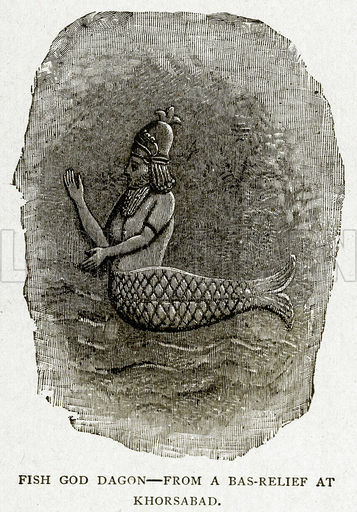 A statue of Dagon was found in the 1800's in Assyria. There have also been carved images of Dagon discovered. "He who mocks the poor shows contempt for their Maker; whoever gloats over disaster will not go unpunished."